Plant a memorial tree at the Wellington Memorial Forest and create a place of peaceful remembrance. Click & Get Your Info Booklet Today! Your information is safe with us. We do not spam. You are invited to take part in a LIVING LEGACY Memorial Forest at our upcoming Wellington Sanctuary Planting Day. Secure your place at our upcoming Planting Day. 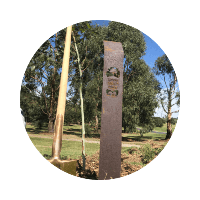 Select your tree of choice and create a memorial tree for your loved one that becomes part of a beautiful setting in the Living Legacy Memorial Forest. On the day, bring your loved one's ashes along to Wellington Legacy Sanctuary, to create a final resting place of tranquillity and reflection. On the day, Living Legacy forestry experts will guide you to create an everlasting resting place for your loved one, infusing their ashes with the proprietary Living Legacy treatment to become living trees. “Planting a Living Legacy Memorial Tree connects people to the beauty that life created as opposed to what was lost.” – Warren Roberts, Living legacy Forest Founder. What is a Planting Day? 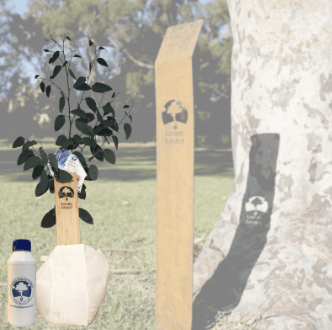 Bring your loved one’s ashes to our upcoming planting day to plant your tree of choice with their ashes, in our collective forest designed for memorial trees. This allows you to create a beautiful, living memorial tree in honour of your loved one. You can choose from one of the Living Legacy Tree Types suited to this forest area. Living Legacy Planting Days are celebrated with honour on one chosen day per year. Turn your loved one’s ashes into a Living Legacy Memorial Tree on this planting day. You will also get a personalised plaque to mark your planted Living Legacy Memorial Tree. 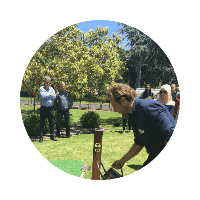 You will be assisted by our Living Legacy Forestry Experts and be provided with the Living Legacy Formula that transforms cremated remains into life which then is infused into the tree to aid in growth and create life after life. 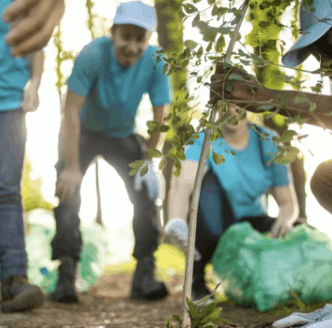 Wellington Legacy Sanctuary Planting Day will be held at Wellington Legacy Sanctuary, Bunbury, Western Australia on the June 9th, 2019 from 9.30am – 12.30pm. Stand tall among the giant trees in this protected cherished forest. Some of the giant tree’s at Wellington Sanctuary (Jarrah and Marri) are over 30 metres tall. 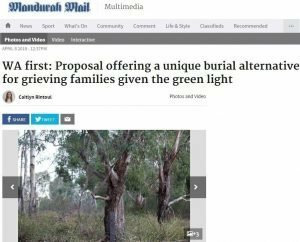 Join the community that is creating a creek front forest for the native Quokka and Black Cockatoo. 50% of each purchase directly funds the restoration and care of the Legacy Forest. 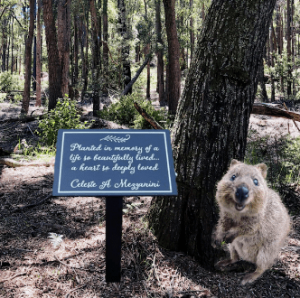 The site was generously bequested for legacy reforestation by the Jeffrey’s family in 2018 so others could share in the beauty and wildlife of this place. Your unique living memorial tree connects the people you love to the beauty that life created in the tranquil sanctuary. 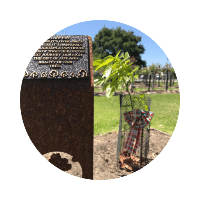 You choose the tree that best reflects the life being honoured and you will receive a personalised plaque to mark your loved one’s planned memorial tree. The legacy you leave will live on for generations to come with your tree’s unique seeds and seedlings living well beyond the lifespan of the original tree. 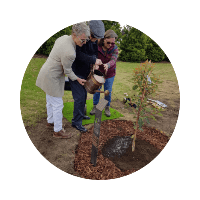 "Planting a Living Legacy Tree truly honours a person's life by creating new life from their ashes." 1) You will receive a tree selection booklet and plaque message form – you must complete the tree selection and plaque form. 2) You will receive a full itinerary which includes directions, parking instructions and advice on what to wear and bring on the day. 3) The planting day will begin at 9:30am at the site – customers must make their own way to the site. 4) We will have Living Legacy forestry experts available to provide information about the site and the trees you have selected, and most importantly they will be conducting the ash treatment and planting process. 5) You may participate in the treatment and planting process if you like. 6) The day will conclude at 12:30, customers must make their own way home. We thank you with all our hearts for providing this most beautiful opportunity. Today we planted our tree in memory of my son. Not only has this brought us peace knowing that we can continue to experience my son's life through the growth and beauty from our tree over many years, but his legacy lives on with 500 trees planted in forests. If everyone does this we can all make a difference. Such a phenomenal idea. It brings about the true connection we all have with nature and honors generations past, present and future. Thank you Living Legacy Forests. It was such a nice feeling for us to be able to be part of preparing our own resting place. With the freshness and freedom of such a beautiful location together with the knowing that our final location will be part of the environment as part of our favourite gum tree, the Citriodora, a tree that has been a part of our whole married life at our family home and it will continue to be here. Thank you for creating a concept that allows a more sustainable way of remembering our loved ones and benefiting the planet with reforestation. Dad and I enjoyed her becoming a tree... As a mathematician and environmental scientist, we knew the first law of thermodynamics - that matter can't be created or destroyed, it just transforms. Make a choice that makes a difference. Some of the giants at Wellington Sanctuary (Jarrah and Marri) are over 30 metres tall. Great! Where should we send this to? Your information is secured. We do not spam. Your donation funds the restoration and care of the Legacy Forest. The site was generously bequested for legacy reforestation by the Jeffreys family in 2018 so others could share in the beauty and wildfire of this place.